Now that the championships have finished it is time to turn our thoughts to the playoffs for the Gold Medals. This event is scheduled to be played in conjunction with the November monthly medal which is the first in the new golf season. If you have won a monthly medal from November 2017 to October 2018 in any grade then you are entered into the Gold-Medal Playoff in that grade. Members wishing to represent Jamberoo Club in the 2019 Golf Illawarra Pennants are asked to register their names and details onto the nomination form that can be found in the Golf shop from Monday. 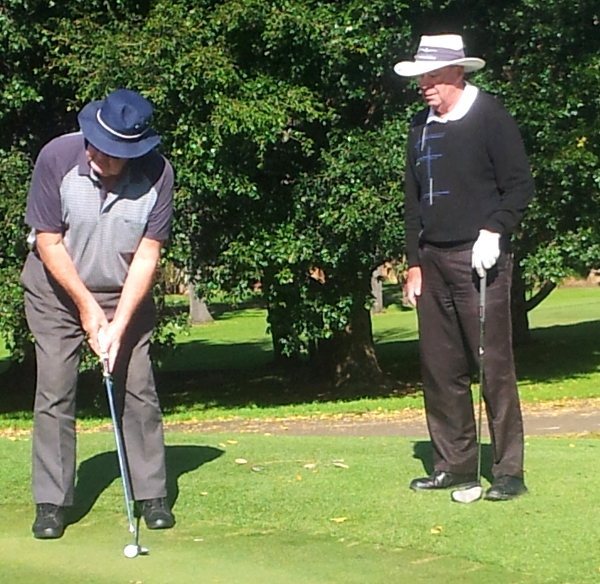 Jamberoo Golf Club has entered teams in the B Pennant [handicaps from 5.5], C Pennant [handicaps from 12.5] and White Horse Cup [handicap matchplay – handicap maximum is 24]. Matches are played on Sundays. The season commences on Sunday February 3 until Sunday March 17 with semi finals on March 24 and Final on March 31. To play you must be available on a majority of these dates. Players on the course this week enjoyed perfect Spring weather and with the course as pretty as a picture it was a pleasure to play. Next Saturday will be a team event giving relief from the hard slog of championship play so get your team together and have some fun.